A superb toy for learning numbers and how to count! Your baby will love this bunch of flashcards. 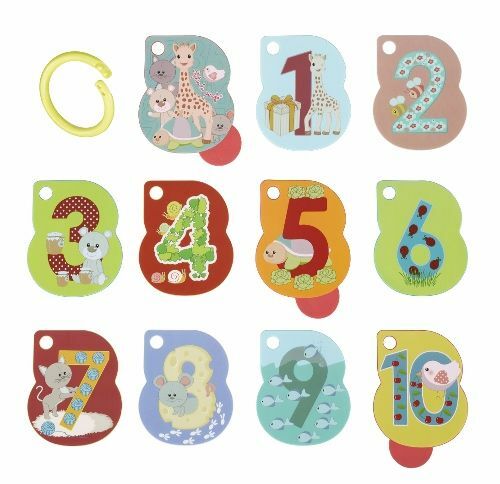 Simple and educational pictures teach your baby to associate numbers with a quantity. 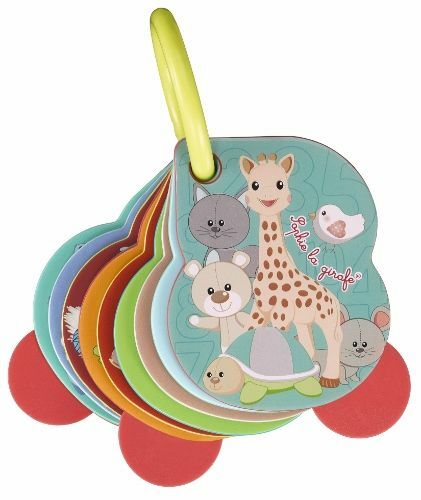 The large size of the flashcards and their charming design are sure to grab baby's attention. The cards come on a handy opening and closing ring. The cards can be removed separately and it also allows for the set to be clipped on. 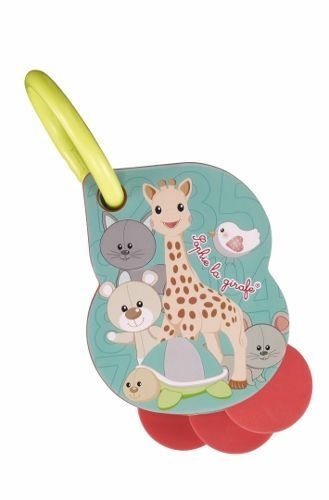 Three of the cards are made from soft material to provide soothing relief for sore gums when teething.